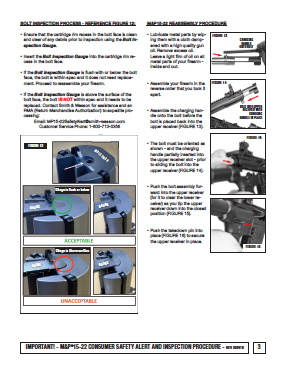 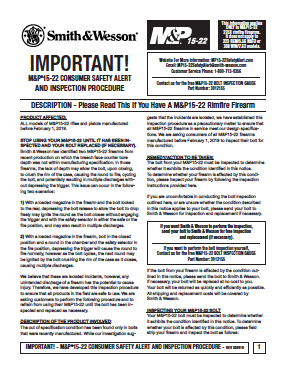 CLICK HERE FOR FAQ FACT SHEET - Questions and Answers Re: M&P15-22 Safety Alert! 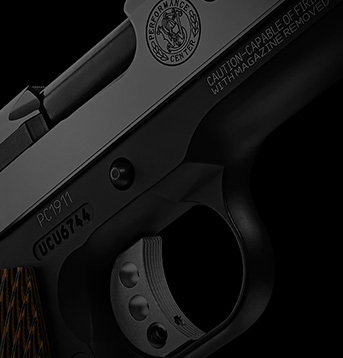 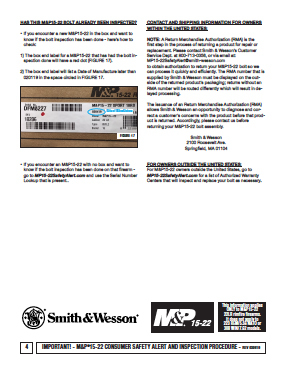 To determine if the Safety Alert applies to your M&P15-22 firearm, please utilize our serial number verification tool. 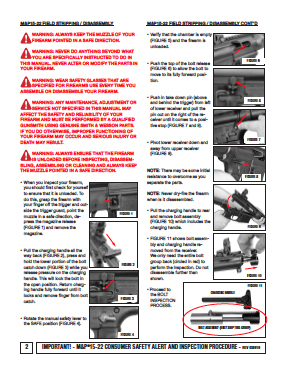 If you want to perform the bolt inspection yourself, contact us for the free M&P15-22 BOLT INSPECTION GAUGE Part Number: 3012155 or place an ORDER ONLINE to receive inspection gauge. 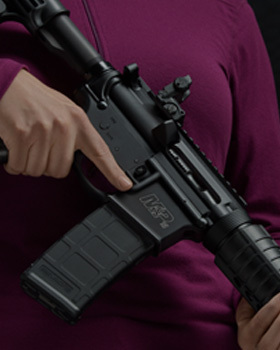 For M&P15-22 owners outside the United States, see our list of Authorized Warranty Centers that will inspect and replace your bolt as necessary.